Thunderbirds Are Gone: Gerry Anderson, R.I.P. Very sad news, Gerry Anderson has passed away. As reported by his son Jamie, Anderson died of natural causes December 26. Gerry had been diagnosed with Alzheimer’s disease in 2010 and moved into an assisted living care facility in October, 2012. The creator and producer of such classic television series as Supercar, Thunderball XL-5, Stingray, Thunderbirds, Captain Scarlet and the Mysterons, UFO and Space: 1999, Anderson leaves a legacy of thought provoking entertainment for all ages. Most recently he consulted with the producers of an upcoming cinematic remake of UFO, and was active in awareness and fundraising for Alzheimer’s research. 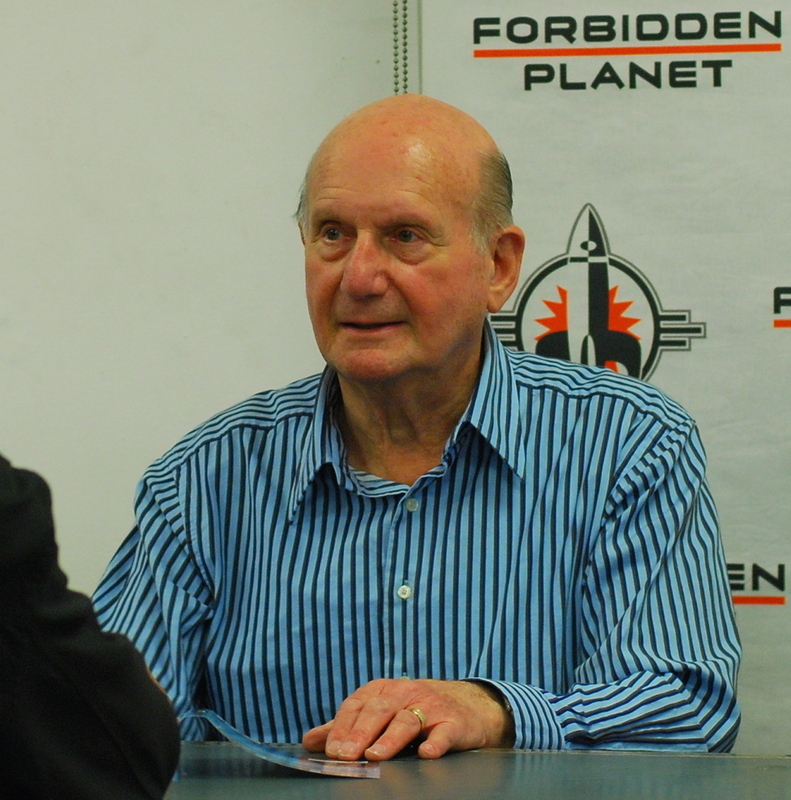 The second time I met Gerry Anderson was in 2006 at the Sector 25 Convention near London. I was there promoting the book I had written with Mike Trim, one of the model makers and designers on Thunderbirds. I told Gerry about the book and thanked him for creating the series, as well as UFO, Space: 1999 and the rest of the Supermarionation TV shows. I told him how much they’d meant to me when I was young, and how happy I was to have even a small part in celebrating them through my work on the book. He looked at me for a moment, then thanked me in return. “For what?”, I asked. He’d seen I was very serious in my praise. “For not having me on,” he replied. So many years later, he was still wary that the shows had been made on very tight budgets for kids, and that all the strings were visible on the puppets. I hope that in the end, he stopped worrying about the strings and saw what we, the fans saw – the care and love that he and his team put into the shows. Rest in Peace, Gerry. Thanks for the wonderful hours of excitement and entertainment. SFX and VIOLENCE – Available Now! 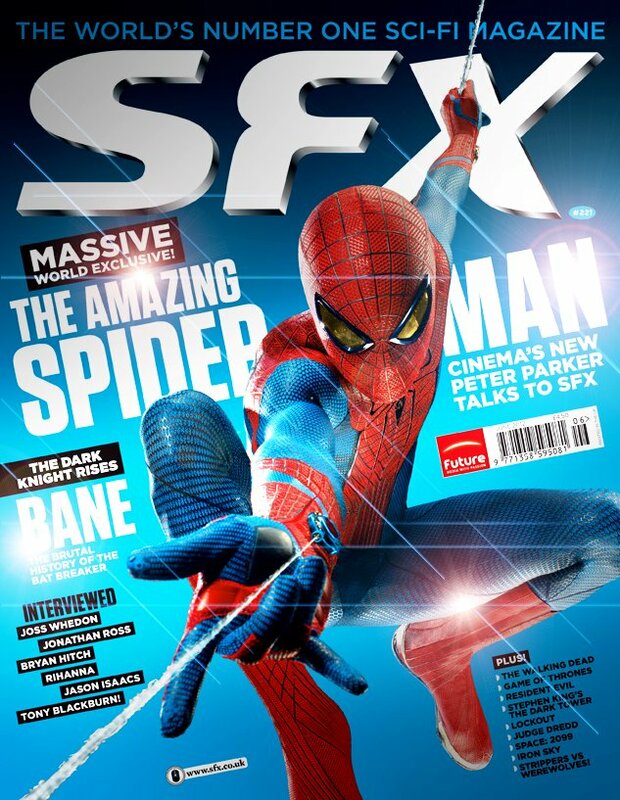 The new issue of SFX Magazine features my article and interview with Space: 2099 producer Jace Hall entitled Five Things You Need To Know About Space: 2099. I even got a cover blurb (just north of Strippers vs. Werewolves)! Check it out, on newsstands now! I’m happy to FINALLY be able to announce this project! I’ve created a pilot for a half-hour reality tv series set in Toby Sells’ Creature FX Makeup shop here in Atlanta, GA. I’m co-producing it with Toby and Chris Mills, my production partner. We’re currently in post production on the pilot, and we’ve just uploaded the first trailer for the show on our brand spankin’ new website, TOBYANDTHEMONSTERNAUTS.COM! The beginnings of this project go back to January of 2010, when I first visited Toby’s shop and got the idea for the series. It’s been a long road getting it to a finished state – Toby’s schedule on films like Hall Pass, Wanderlust, and TV shows like Teen Wolf, The Walking Dead, and Vampire Diaries kept us from being able to shoot for months. Finally it all came together in the Fall of last year and we’ve been working on putting it together since January. We’re almost ready to begin showing it to potential distributors and cable outlets and hope to get the green light for a series very soon. 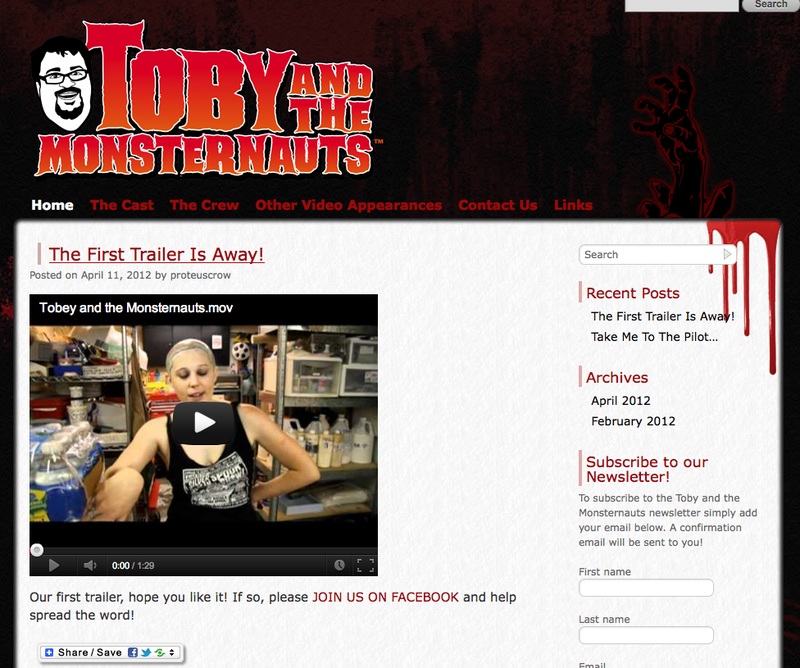 Stay tuned for updates here and at http://tobyandthemonsternauts.com/ and please join us on Facebook as well! There’s a tease for an interview/article I wrote in the new issue (#221) of SFX Magazine with Space: 2099 producer Jace Hall which has just been posted at the magazine’s website: CLICK HERE TO READ IT. SFX #221 goes on sale Wednesday, April 4th in the UK and not long after here in the USA. Hope you’ll pick it up and enjoy! And no jokes about “To BALDLY Go…”, please! 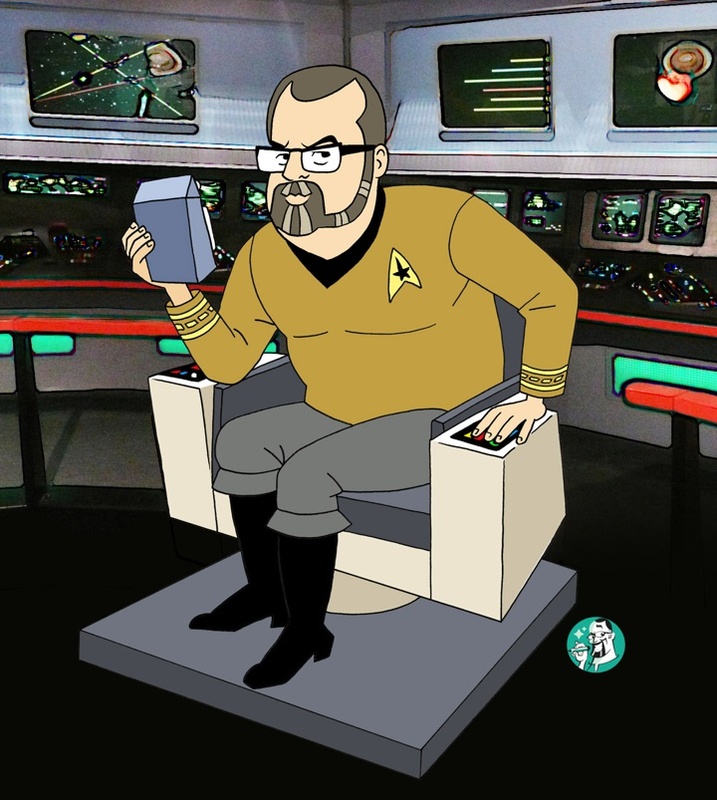 Once again, Rich Smith has delivered the goods and made me look heroic as a stalwart starship captain in the vein of the Filmation animated Star Trek TV series. Thanks, Rich! I’ll be in Memphis for MidSouthCon this weekend, see the link on the right side of this page for more information – hope you’ll join me! Ok, so I may have actually done nothing nomination-worthy for about seven of those years, and its possible that the taste of sour grapes is in my mouth, but that could also be the cheap wine. Sometimes Boone’s Farm is the only balm that will heal, as I’m sure all of you would agree. I would love to have seen any of the interviews or articles I had published this year nominated, and I think at least two were contenders, but I do believe that the ones that actually made the cut earned their spots. 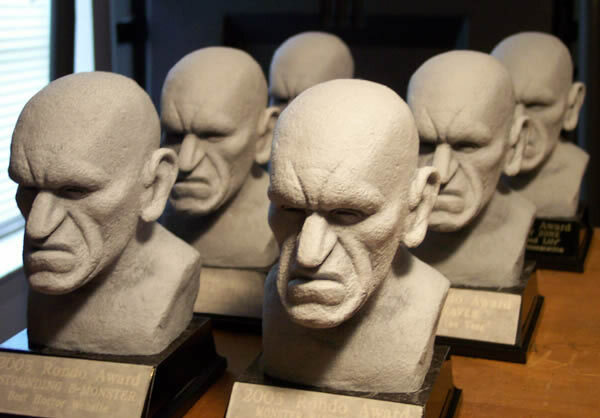 This year as for the past nine, David Colton, Kerry Gammill and the all volunteer staff of the Rondo Awards have worked very hard to field a ballot jam-packed with classic monster goodness, and I thank them for their efforts. Here are just a few of my favorites on the ballot this year, and if you’re waffling on who to vote for, by all means let me influence you. — YOU WILL NEVER GUESS WHAT THIS AD IS ABOUT, directed by Andreas Roth. German commercial will surprise you. CLICK HERE to view. — THE HAMMER VAULT, by Marcus Hearn. (Titan Books, hardcover, 176 pages, $34.95). From the studio archives, documents, stills and memorabilia in a handsome package. — MAIL-ORDER MYSTERIES: Real Stuff from Old Comic Book Ads! by Kirk Demarais. (Insight, hardcover, 156 pages, $19.95). The shocking truth about what you really got if you ordered those X-Ray Glasses or Six-Foot Monsters. — ‘Dare You See It? James Whale’s Frankenstein,’ by Pierre Fournier. MONSTERPALOOZA #1. Using vintage newspaper stories, ads and ballyhoo, what the public was told about the filming of Frankenstein in 1931. — ‘The Making of Hands of the Ripper,’ by Bruce G. Hallenbeck. LITTLE SHOPPE OF HORRORS #26. How the shocking tale made it to theaters mostly intact. — ‘Music by James Bernard: Themes For a Tapestry of Terror,’ by Steve Vertlieb, FILM MUSIC REVIEW, Fall 2011. Scoring the master of suspense and thrills. — Mimsy Farmer: ‘The Mimsy Farmer Experience,’ by Mark F. Berry. VIDEO WATCHDOG #162. Extensive talk with star of dragstrip films, Four Flies on Grey Velvet and more. — Haruo Nakajima: ‘The Original Godzilla,’ by August Ragone. FAMOUS MONSTERS OF FILMLAND #256. The man who played Godzilla, Rodan, Gargantua and many others recalls the hot suit, the staged battles and the work ethic. My pal Mark Maddox has three in contention this year – Little Shoppe of Horrors #27, MAD SCIENTIST #23, and Undying Monsters #1 – A vote for any of them is a vote for great art. In addition, Jeff Preston’s cover for Monsterpalooza #1 is in the race as well, and it’s a beauty, too. I’m writing in Mark Maddox. These are just a few of my favorites – the full ballot is now available online, and anyone can vote. The awards ceremony will be held again this year at Wonderfest in May, in Louisville, Kentucky. See you there. Click the Rondo Banner below to be whisked to the website so that you may vote forthwith! 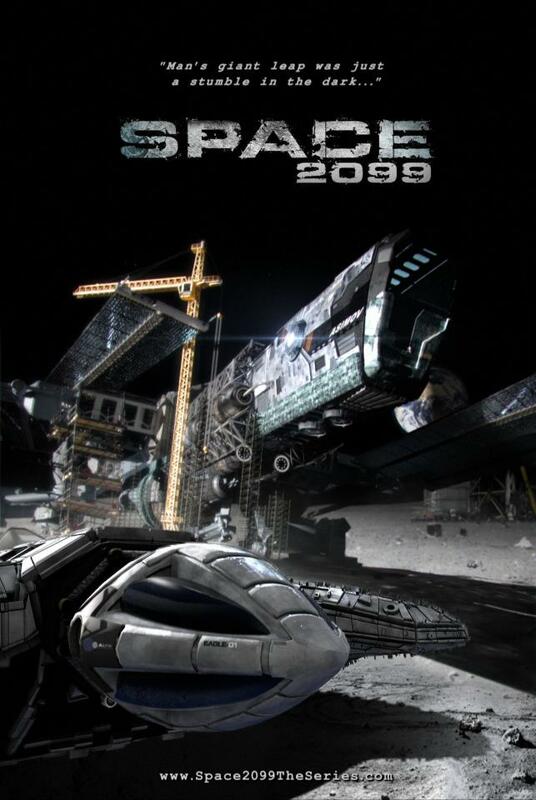 Space: 2099 – Rebooting the Fantastic Future? In case you haven’t heard, Space: 1999 may be headed back to television in an updated format called – wait for it – Space: 2099. As announced yesterday and covered by The Hollywood Reporter, the new series is in development at HD Films, who created ABC’s updated “V” series a couple of years ago. I’ve had a lot of people email or message to ask my reaction about this and I wanted to take a day to digest the news and see how I really feel. I have to say I’m guardedly pessimistic. Of course I’m a fan of the original series and I’m happy that there’s belief in Hollywood that its a commercially viable property worthy of a remake. Unfortunately, I’m not a fan of ABC’s “V” reboot. It was well cast, beautifully designed and started off well, but it fell victim to bad writing much as the original did during its own series run. My thought was that the producers and writers understood that it’s cool to see giant spaceships hovering over the Earth, that its fun to watch cute girls gobble cgi mice, and that Elizabeth Mitchell looks great rolling around struggling with aliens or running and shooting guns, but they never seemed to understand their characters on a more than superficial level. Maybe it improved in season two, I confess that I didn’t bother to tune back in at that point. I fear that the same might happen with Space: 2099. Not just because HD Films is developing it – it could be just about anyone in charge of this and I’d still be apprehensive, because the disease that felled “V” is broad reaching and near pandemic in Hollywood; I like to call it “Third Act Syndrome.” It’s easy to come up with a great hook for a television series… but paying it off in the end is another kettle of fish entirely. I’ll point you towards “LOST” and “Battlestar Galactica” as prime examples of this. More than this, I wonder if the new producers actually understand the unique characters and potential of Space: 1999 and whether they’ll be able to translate them for a new generation. As someone who’s had a lot of interaction with fans of the original series online and in person, I’ve only met a few who really seemed to understand the true emotional appeal of the show and the situations and characters. If people who’ve watched and re-watched the episodes over and over of their own volition are just in it for the production design, special effects, the stars, or the adventurous/romantic/action aspects, what is it that would draw a contemporary film producer to the material? Jace Hall has been making the rounds to Space: 1999 fan groups on Facebook and bandying about the term “Rest assured” quite a bit. He even took the time to reach out to highly active fans in advance of the announcement and created what might be called a “Fifth Column” within the community in order to help transition fans from the old show into favorable comparisons for Space: 2099. Of this, I’m not sure how I feel; its reeks a bit of the alien leader Anna’s tactics in Hall’s own take on “V”. She famously appeared on worldwide media to tell all of us Earthlings that the Visitors came in peace, and that under no circumstances would we be conscripted as slave labor nor tasty protein. Well… I think we all know how that turned out. Again, I don’t think Hall is an evil mastermind come unto Space: 1999 in order to wreck it – but then neither was Freddie Frieberger, producer of year two of the original series. Frieberger did exactly what he was contracted to do – lose the cerebral aspects of year one, add a lot of running and jumping, cut the budget, and make the show more interesting to young men and kids. The collateral damage was that he also destroyed that which was unique about the series and the characters in the process. I fear that this might happen again. History has a nasty way of repeating itself. In 2003, I had the pleasure of talking with original series story editor (and writer of many memorable episodes) Johnny Byrne about a proposed new Space: 1999 comic book series that I was developing with a now (and shortly thereafter, in fact) defunct publisher. Johnny told me about his vision for a new series, and he and I worked to put his vision into accordance with the material I had developed. We were pretty successful I think – the proposal was approved by Carlton Media, the rights holders at the time. Unfortunately, we were never able to get the comics published as the company went out of business. Byrne’s updated storyline was a continuation, which made sense on the scale of his original idea for a new television series and for mine as a comic book series. Having developed the original characters, Johnny’s perception of them was razor sharp and it really showed in the material – it would have made for a very entertaining show/book for old fans and new viewers/readers alike. I hope that Jace Hall understands the material half as well as Johnny Byrne, and if he doesn’t, then I hope he hires the other story editor from the original show, Christopher Penfold, to help him reinterpret it for a new generation. Though many think there was a random mystical element to the series that became little more than deus ex machina, that isn’t the case. Johnny (and I assume Christopher as well) knew where he was going with that “mysterious unknown force” and if he’d been given rein to develop it, it would have made for some unbelievably good television. Johnny really cared about entertaining and enlightening the viewers, especially the ones who were paying real attention. I’d hate to see someone who’s just in it for the paycheck get hold of the material and phone it in, or worse yet – a whole writers room full of such creatures. Bryan Singer told me once that he thought it was “about time for a really twisted remake of Space: 1999”, a statement which I found both exciting and terrifying. No clue what he would have come up with, but it would have been interesting to watch. I don’t think any of us believe the new show will be Space: 1999 – that is past and frankly immutable – but please let it at least be quality science fiction that makes us feel emotionally lifted or transported. In the end, I do wish HD Films luck with it – I’d really be happy to be amazed and overjoyed by what they come up with. The key to that – like any endeavor – is to under-promise and over-deliver.